Learning how to cook ground chicken recipes is fairly new to American dining. Although this bird has a greater number of cooking variations all over the world, when I was growing up I never heard of cooking it in the ground form. When I was first married someone gave me a book which had hundreds of recipes just for cooking chicken; not one was for “ground chicken”. I also was given a book which had hundred of recipes for hamburger “or ground beef”. These two books were so popular because chicken and hamburger were the two cheapest forms of protein (Back then no one was a vegetarian). As a young homemaker I wore the books out cooking all the recipes. 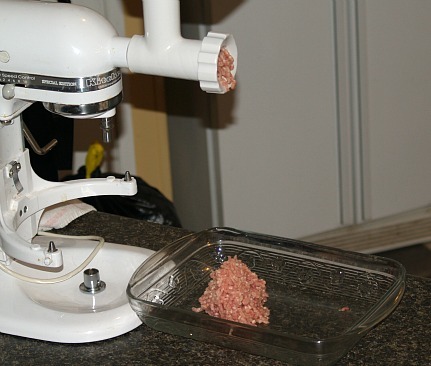 Two things brought about cooks learning how to cook ground chicken recipes and I cannot remember which came first. The price of beef started to rise. Even hamburger became more expensive to purchase but chicken remained very economical. The other thing that brought about the ground chicken recipes was that so many people developed heart disease. Doctors were recommending that everyone eat more chicken and turkey instead of beef and pork. People did use more turkey but the preference of taste was the chicken. 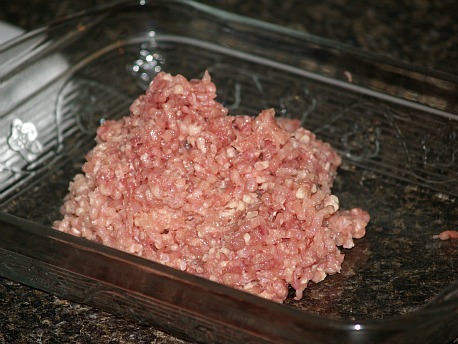 I learned how to cook ground chicken recipes was much like ground beef or turkey recipes. Most of the time the chicken can be substituted for one of the other meats. The big difference when replacing chicken for other meats is the fat content. Turkey is most like chicken, maybe a little dryer than chicken but chicken has less fat than beef or pork. When substituting turkey or chicken for beef or pork, more fat may need to be added to the recipe. I have made many recipes, like chili and spaghetti, with ground chicken that I typically made with ground beef; family and friends never knew the difference. Combine chicken, breadcrumbs, 2 tablespoons olive oil, Italian seasoning and egg. 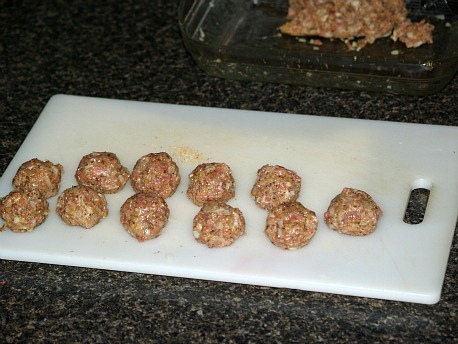 Blend mixture well and roll into meatballs; brown in skillet in small amount of olive oil. In separate pan cook pasta according to package directions; drain. In another saucepan combine pizza sauce and stewed tomatoes; cook over medium high heat until hot. To serve divide equal amounts of pasta on dinner plates; top with sauce. 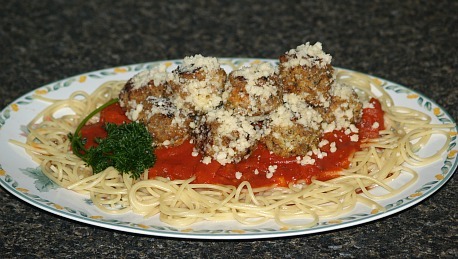 As meatballs are cooked, roll hot balls into Parmesan cheese; place on dinner plates on top of sauce. 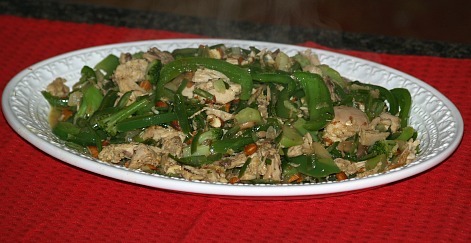 Cook chicken and green onions in a little cooking oil until slightly browned and cooked; move to plate. Add a little more oil if needed; stir in vegetables until heated through. Add in juice and soy sauce; stir in almonds and cooked chicken mixture. 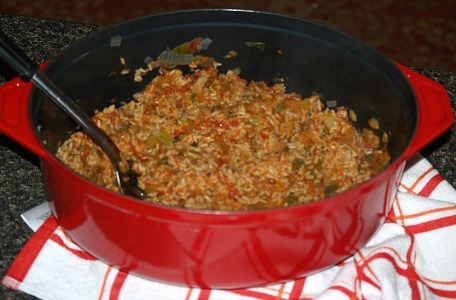 I learned how to make Spanish rice as one of my first ground chicken recipes. I have always loved this flavorful dish and I found no one recognized the difference in meats with all the spices. I just added a little fat to brown the chicken. Heat oil in large Dutch oven; brown chicken with onion, bell pepper, celery and garlic. 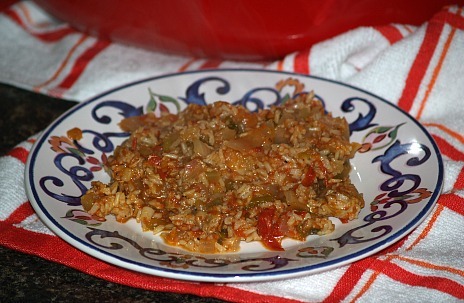 Add rice, broth and tomatoes; simmer for about 30 minutes or until rice is tender stirring occasionally. Add water if needed; stir in cumin, salt and pepper. NOTE: This makes a lot; should feed about 10 to 12 people. 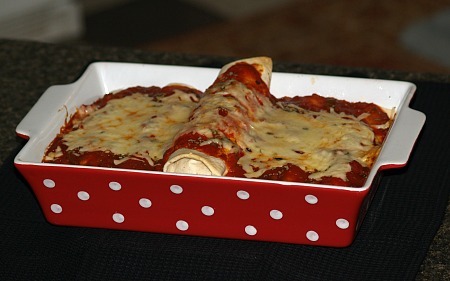 Today many people have learned how to make enchiladas with chicken instead of beef. I have loved Mexican food since my first bite but back then most recipes were made with beef and they were not ground chicken recipes. I learned years ago how to make enchiladas with ground chicken and love the taste. Heat butter and oil in large skillet; sauté carrots, onion, pepper and garlic until tender. Add cream cheese and chilies and heat until melted; stir in cooked ground chicken. Pour 2 cups salsa into 9 X 12 inch baking dish. Spread about 1 cup for large or 1/2 cup for small of chicken mixture down center of each tortilla; roll up carefully and place on salsa. 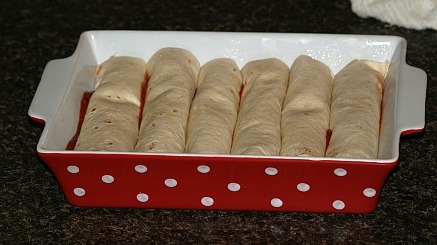 Repeat until all tortillas are rolled and placed in baking dish. Spread top with remaining salsa; sprinkle top with shredded cheese. Bake in preheated oven at 350F degrees for about 25 minutes or until heated through.